The South Hills office of Fragasso is located near South Hills Village Mall on Oxford Drive in Bethel Park. Parking is available at the rear of the building (behind First National Bank). Please enter at the main entrance located at the back of the building and take the elevators to the 2nd floor. Fragasso’s fully staffed South Hills office consists of financial advisors, a financial planning analyst, and a client account specialist. Brian has been with Fragasso for 17 years. He is a Certified Retirement Plan SpecialistSM and an Accredited Investment Fiduciary®. 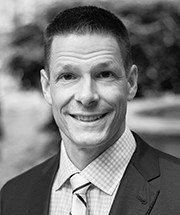 In Brian’s role as vice president and financial advisor, he meets with clients to discuss their objectives, as well as monitors and manages their investment portfolios, through the implementation of a personalized financial plan and asset modeling. Brian was raised in Maryland and currently resides in Bethel Park with his family. He earned his bachelor’s degree in human resource management from West Virginia University. 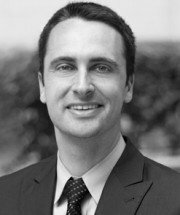 Andrew is a financial advisor and financial planning analyst in Fragasso’s South Hills office located near South Hills Village Mall. He provides financial planning for our clients. Andrew has a passion for helping others achieve their financial goals. Before joining Fragasso, Andrew was a financial advisor and licensed banker at PNC Bank where he was consistently recognized as a top sales performer. Andrew earned his bachelor’s degree from the Pennsylvania State University. He is originally from Bridgewater, New Jersey, but since college, Andrew calls Pennsylvania home. He currently resides in Upper St. Clair and enjoys spending time with his wife, Cara, and their son, Henry. Andrew is a former Class A PGA professional and volunteers his time with The First Tee of Pittsburgh. This organization introduces the game of golf and its values to young people. Series 65 registration held through Fragasso Financial Advisors. 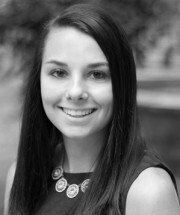 Halle is a client account specialist at Fragasso’s South Hills office. In her role, she supports the financial advisors with the daily operations and administrative duties. Halle contributes to the overall effectiveness of the team by providing account maintenance and resolving client needs. She prides herself on being a people person and enjoys helping her colleagues and clients at Fragasso. Halle was born and raised in North Huntingdon, PA. She earned her bachelor’s degree in finance at the University of Pittsburgh. Halle stays active in her spare time. She enjoys playing soccer and softball; and if she’s not playing sports, she’s training at the gym. Fill out the form to be contacted by an experienced financial advisor and find out how our approach can help you pursue your financial goal.